Usman Baig, Danny (sales Manager) and Lori Collier-Greik. "Love the service department "
They performed all the required work and satisfied a recall and had all the work done on time. Cost was as expected. Thank you Universal Ford. "Regular service and tire change"
The entire staff were great. From the moment you walk in you are greeted with customer care and personable people. Very one is there to make sure your experience is what it’s suppose to be. Great service from Service advisor. Job was done right and quickly. He seemed to bend over backwards to look after me. Too bad all Ford dealers aren’t as good at customer service. Usually I regret having to look for a good used vehicle. From the moment we got out of our vehicle at the car lot we browsed for maybe 10 minutes and the salesman(Usman Baig) greeted us with total respect and said he was there for us if we had any questions. We seen a car we liked, went in and struck up a deal suitable for everyone. We never felt pressured at any time and everything had a pleasurable flow. He then introduced me to Danny the sales manager and got nothing but sincerity and respect. We then went over to meet Lori in financing and she was great and had us approved in 30 minutes. What I thought I dreaded become a pleasurable experience and not one I'II soon forget. 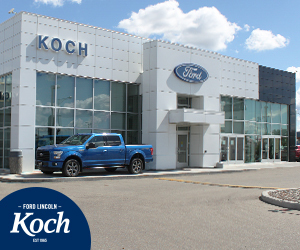 I would recommend Universal Ford Lincoln to anyone looking for used or new vehicles. The service is absolutely exceptional. Scott has helped us buy many vehicles. He has always helped us find exactly what we were looking for and made sure that we got a fair price. Most importantly he has continued to support us after the purchases if and when things came up. I will continue to take my business to Scott and Universal! From beginning to end Usman treated us with professionalism and respect. He went above and beyond to meet our needs. Overall our experience at Universal Ford was a positive one and I would definitely recommend to friends. Drove into service centre, exited vehicle with only 1 other vehicle in the bay. 5 service advisors at their desks and waited 10 mins before being acknowledged by a bay attendee who asked to take my keys at which time I had to refuse because no one acknowledged my presence. When following-up 2 days later, I could not reach anyone by phone and left 2 voicemails. No response. I called the following day, voicemail again. I went on the website to a live chat agent, who after transferring me due to another agent, confirmed my vehicle was ready for pickup. Finally, before going to pickup my vehicle I decided to call the dealership once more directly, no answer, I was redirected to the operator who physically went to find out the status on my vehicle and told me it wasn’t ready. The lack of customer service, coordination and ability to communicate with any service member has forced me to go elsewhere for future service, despite my vehicle having being purchased from Universal. "Could not ask for better "
The entire staff from sales to service has been very good to me and my family. I have made 5 purchases from here and would recommend anyone needing a vehicle or service to let these fine people take care of you.